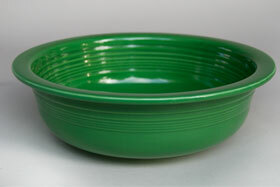 Circa 1960-1969: Nappie is an old English word that describes an open serving bowl. 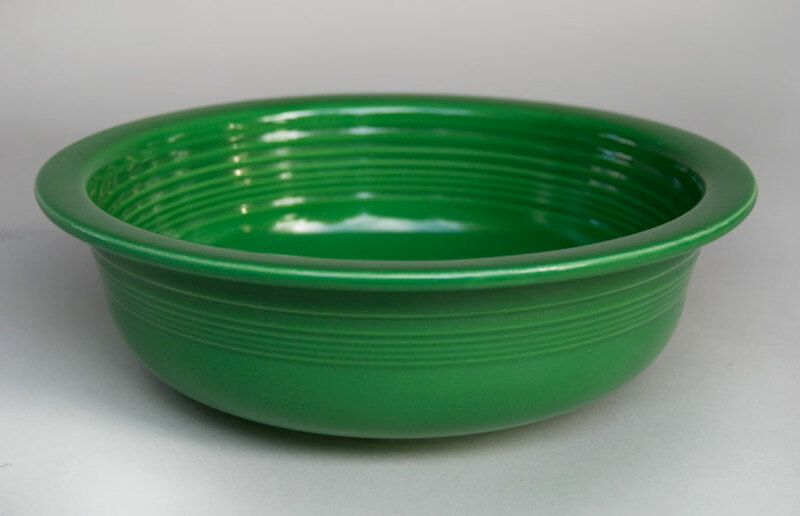 The 8 1/2" nappy bowl is such an indispensable item that it is one of the few original pieces introduced in 1936 that ran the entire length of vintage fiestawares life span. 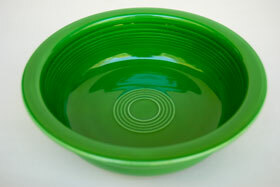 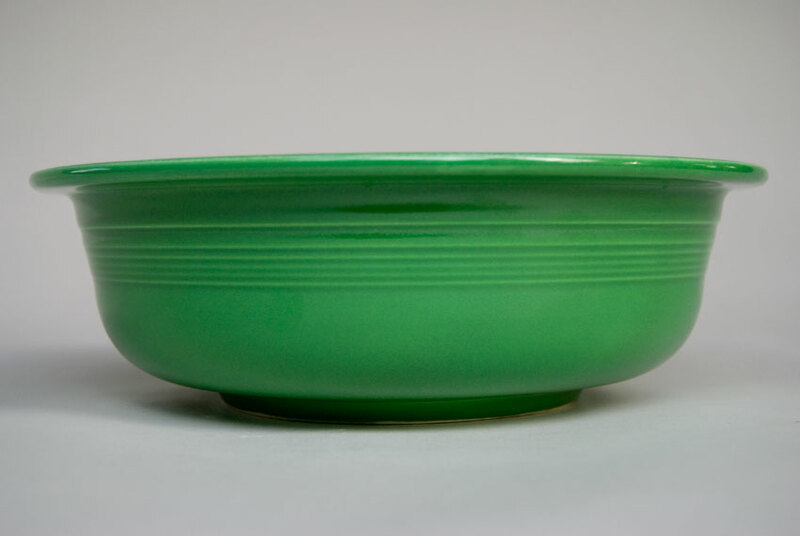 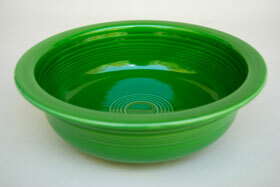 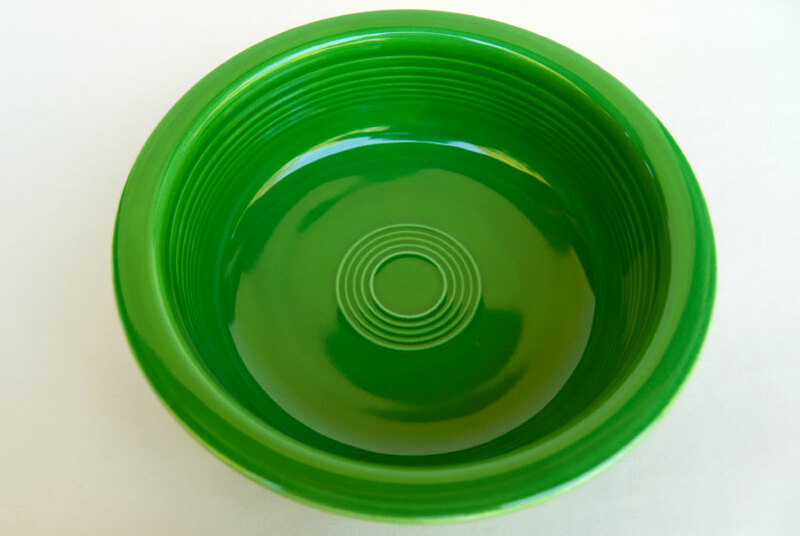 Fantastic condition on this hard to find medium green fiestaware 8 1/2" nappy bowl. Collector quality with no chips, cracks, glaze irregularities, scratches, touch-ups or repairs. 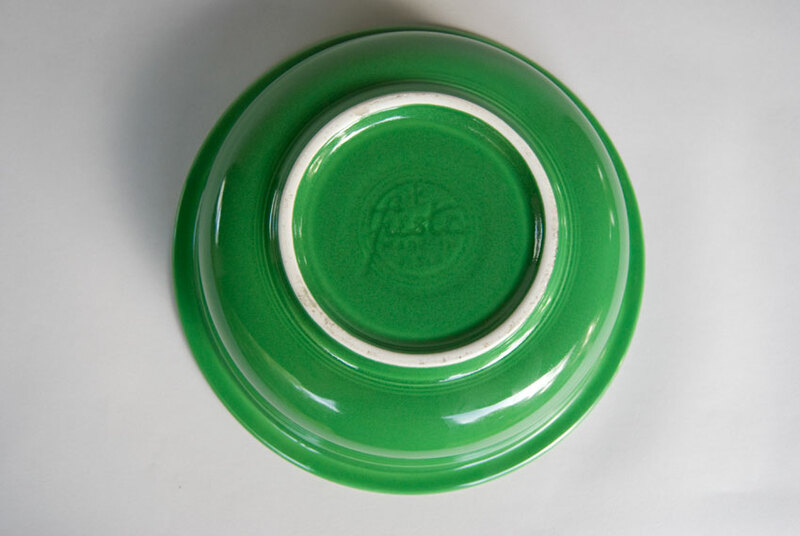 Marked in the mold on the bottom "HLCo fiesta MADE IN USA".